Free Shipping Included! Oakley Flak 2.0 XL Adult Replacement Lens Sunglass Accessories - Prizm Shallow Water Polarized / One Size by Oakley at Kart Racing Network. MPN: 101-108-006. Hurry! Limited time offer. Offer valid only while supplies last. Grab these replacement lenses for Oakley Flak 2.0. Prizm Fresh Water Polarised lenses lenses amplify and fine-tune certain colours like an equaliser. Grab these replacement lenses for Oakley Flak 2.0. 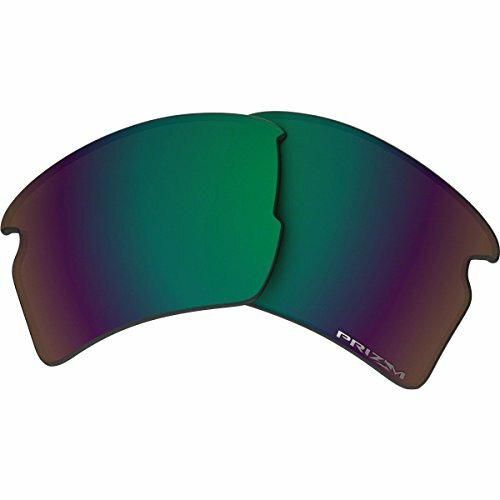 Prizm Fresh Water Polarised lenses lenses amplify and fine-tune certain colours like an equaliser. Contrast is sharp while colours are rich and vibrant. And these lenses reveal a clearer picture of the water. These are especially effective near fresh water. These polarised lenses wipe out glare.